From 1995-2006, I worked as the website designer at the National Business Aviation Association. As part of a three-person team consisting of a webmaster and web programmer in addition to myself, we transformed what had been a brochure website to one that contained over 50,000 documents made up of static HTML pages, several databases, a dozen or so email discussion lists and several microsites. Along with an added web content editor, our team also reported live on events during the Association’s Annual Meeting & Convention, which on average hosted 30,000 attendees and 1,000 exhibitors. For five years, the onsite reporting included articles, photos, podcasts and videos on over 75 informational sessions and events. When I left NBAA we had a network of 11 affiliated web sites. 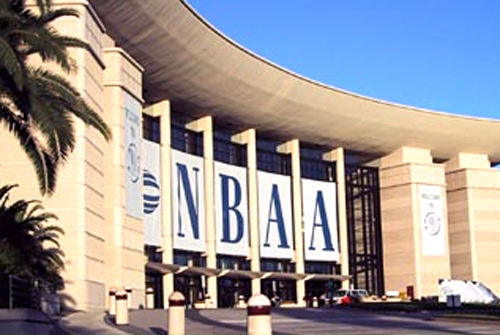 The screen capture in the middle of the image above shows the NBAA homepage during the 2002 convention using a photo I took of the outside of the Orlando Convention Center. Flanking the homepage are screen captures of the microsites for the Latin American Business Aviation Conference & Exposition (LABACE) and the Asian Business Aviation Conference & Exposition (ABACE). I worked as lead designer and webmaster on both sites, creating a look that coordinated with existing print collateral. Lisa is talented and tenacious — great qualities when you want to make progress rapidly. She also has a keen eye and is tremendously fun to work alongside. A great asset. 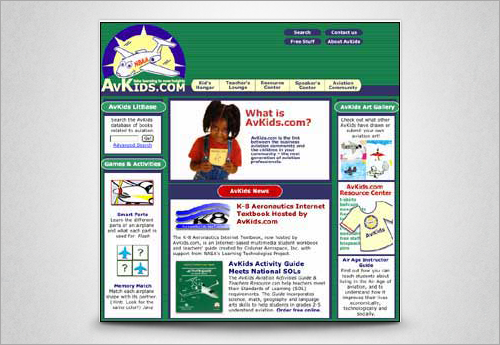 AvKids.com is another microsite I designed in conjunction with an in-house content editor and partnering with the NASA Ames Research Center. The goal of AvKids, which was awarded the USA Today “Best Bet Education Site,” was to reach elementary school students, in particular third graders, about careers in aviation.